Many divisions of government require archiving solutions. Local or national governments archive video and files relating to legislation and the day-to-day running of a country, state, city or county. Intelligence and law enforcement agencies archive vast quantities of data, such as surveillance (video / audio / email), biometric information (fingerprints / facial recognition), a variety of databases (cars / weapons / soil samples) and so on. Government archives store data for multiple decades or permanently. Metadata searches are vital to quickly identify the data required. 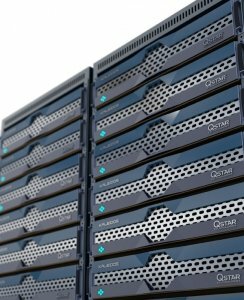 Larger data sets are stored on slower, more permanent storage technologies and moved to faster performance media when they are needed for investigation. Hierarchical storage technologies are therefore common in the government sector, with WORM technology (write once read many) frequently used owing to the long (permanent) storage periods and data security issues. Cloud Gateway (private, public and hybrid). We all know archived information quickly loses its value over time. Market research confirms this, showing that after a year, more than 80% of data stored on expensive primary and secondary disks is never, or rarely, accessed again. This implies a huge waste of money and manpower, a worrying scenario for government agencies who have to store enormous quantities of data. The land registry, for example, must store property layouts for an unlimited period. 95% of the archived data will never be consulted, but the storage disks holding this information must be replaced every 4-5 years. The huge inefficiency is glaringly obvious. We help government offices keep their data needs under control with a range of data management and archiving solutions at the same time ensuring compliance with all regulatory standards.